We offer a website that is fully optimized to achieve compatibility with all devices. Whether using a desktop computer, tablet or mobile smart phone, visitors will encounter a beautifully rendered display that perfectly fits whichever screen they happen to be on. 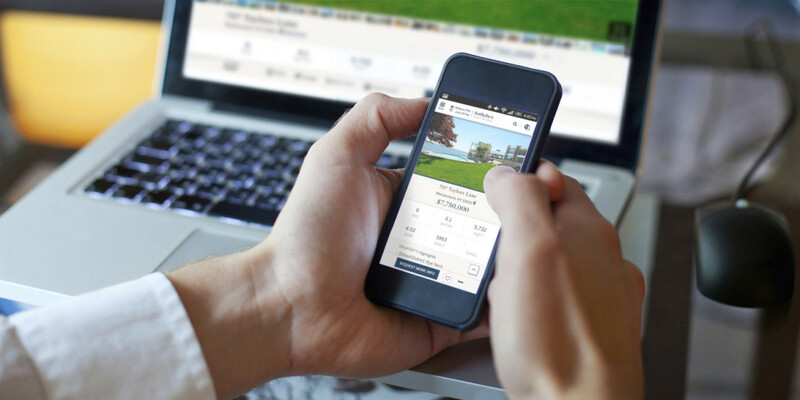 With more consumers than ever searching for real estate from handheld devices, our mobile website provides sellers and agents with an especially powerful advantage in reaching this broad audience. GPS-enabled search functionality, enabling prospective buyers to locate homes currently on the market that are closest to wherever they are at any moment, and get directions to any property, open house or brokerage on our site.Try searching now. Driving directions: Easily make your way to any property, open house, or brokerage on our site. Contact-an-Agent capability so users can easily reach out to an agent with the touch of a button, allowing us to respond quickly to any inquiries. Browse our Agents. Market reports, formatted for every screen, that allow users to stay current on market trends, share screenshots via email and sign up for future updates. Mobile-friendly listing tools that make it easy for visitors to print, share or send a property to a friend. Community information for those interested in discovering more about neighborhoods they like while on the go, including commute times to New York City as well as local restaurants, golf courses, resorts and more through our points-of-interest toolbar. Browse our Communities.